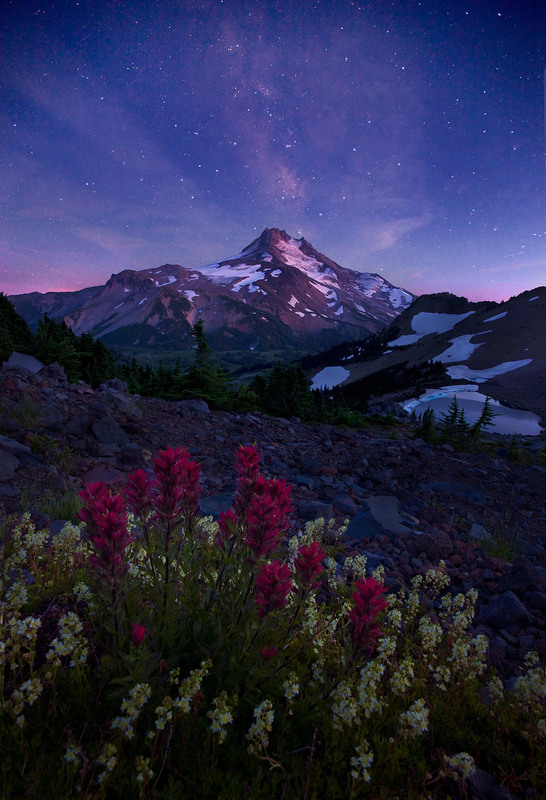 Composite image featuring twilight skies, wildflowers and Oregon's Mount Jefferson. The image was created from three exposures taken without moving the camera 1 hour apart. Photo © copyright by Marc Adamus.